In 2016 I embarked on a road trip to Detroit to experience the city’s much buzzed about resurgence. The home of Motown and Ford is filled with entrepreneurial culinary spirit as distillers and craft brewers offer sweet sips which pair perfectly with Detroit’s no frills snacks; the Cony Island Hotdog and iconic self titled pizza. Buddy’s has been serving up pizza in Detroit since the 1930’s and its been consistently voted number one for decades. 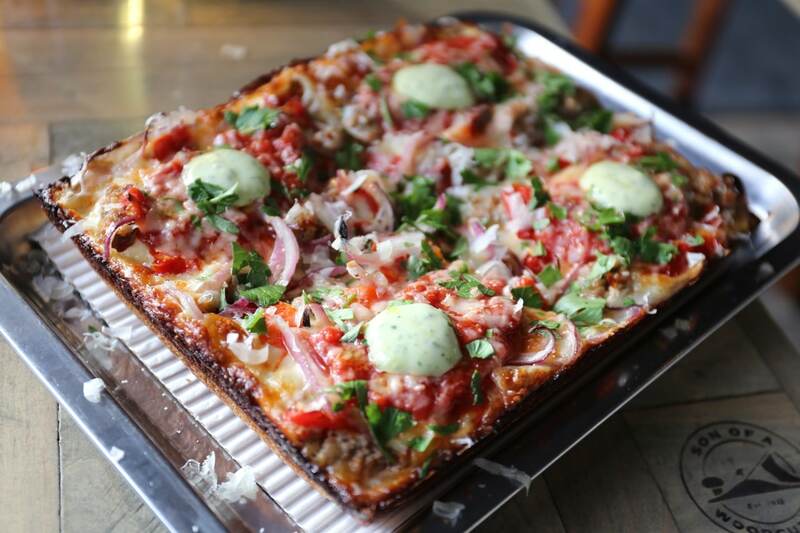 It was here that I enjoyed my first taste of the Detroit style pizza, which arrives to the table in a rectangular pan and features a thick, chewy Sicilian crust, layered with premium toppings and bubbling cheese. 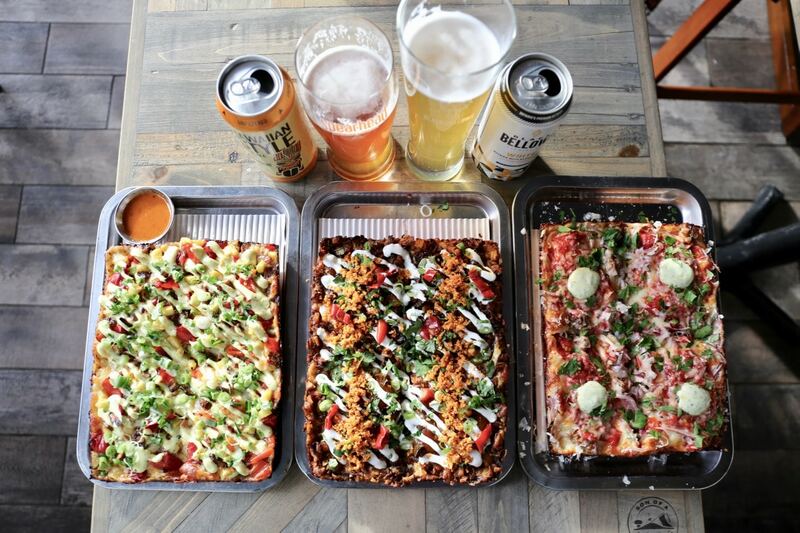 Back in 2015 Toronto’s East End welcomed the city’s first Detroit-style pizzeria. 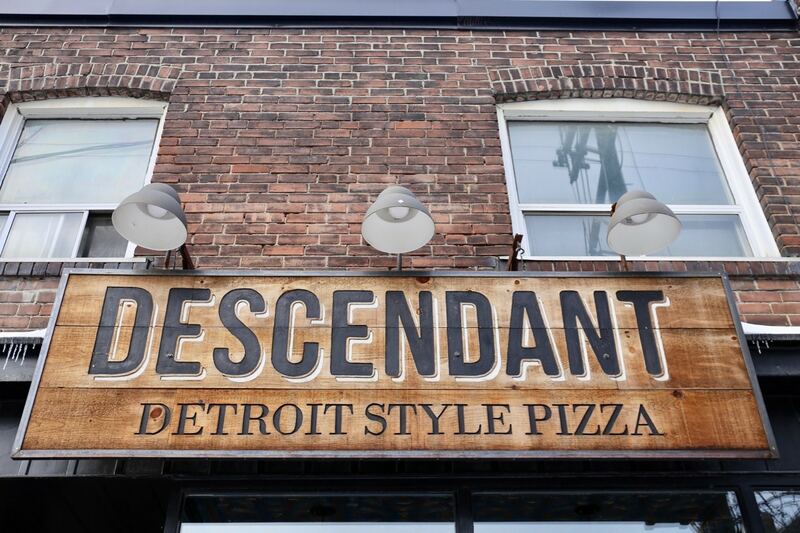 Descendant’s sits perched over Queen Street in Leslieville and offers a petite dining room which serves up thick slices of Michigan’s iconic pizza pie. 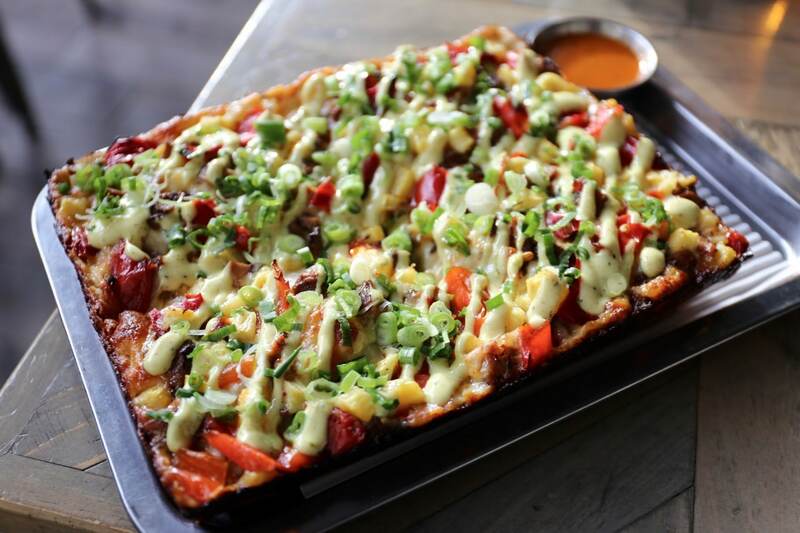 For those who have traveled to Detroit and and became instant fans of the city’s pizza style (many of which live across the river in Windsor) you can satiate all of your cravings for the addictively crunchy treat in Toronto. If you’re looking for an Italian inspired mouth-watering experience the Gatt-Daddy is topped with house-made fennel sausage, red onion, and basil aioli. For those looking for a spicy kick inspired by the Caribbean order the Electric Avenue topped with jerk chicken, fresh pineapple, curried lime aioli, and accompanied with Toronto’s own Chef Rossy Earle’s famous Diablo’s Fuego Hot Sauce for dipping. 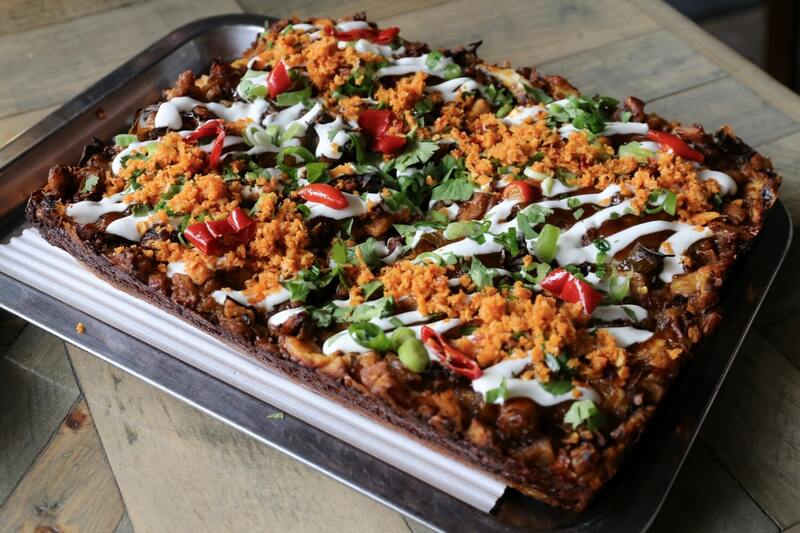 Those looking to eat outside the box take a sensory trip to Sri Lanka and order the fantastically flavourful Jaffna topped with kathu roti, mango chutney, cilantro cream, green onion, calabrian chilis, fresh cilantro, and coconut sambol.